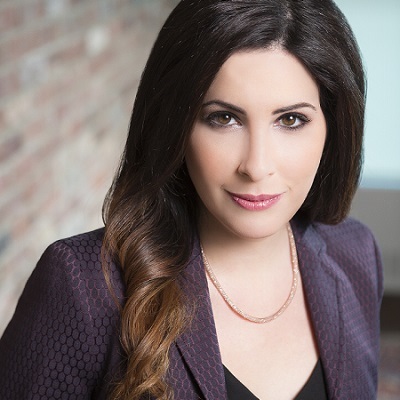 Heather Cohen is Executive Vice President of The Weiss Agency, a broadcast talent agency which represents and develops the careers of many of the industry’s most successful local and syndicated personalities. Heather joined the Weiss Agency directly from GreenStone Media, LLC, where she was Vice President, Programming. Heather joined GreenStone from New York’s legendary WOR where she was Assistant Program Director and responsible for the station’s local and national on-air content, programs, and production. Prior to that, she served as Executive Producer for “The Joan Hamburg Show”. In 2013 Talkers Magazine awarded Heather with the prestigious “Judy Jarvis Memorial Award for Outstanding Contributions to Talk Radio by a Woman,” also known as “Woman of the Year”. Radio Ink Magazine has selected Heather as one of the Most Influential Women in Radio every year since 2014. Heather was on the cover of Radio Ink’s June 2017 Most Influential Women in Radio issue. She is a 2015 recipient of Hofstra University’s George M. Estabrook Distinguished Service Award. Heather is the Treasurer of the Alliance for Women in Media and Foundation Board of Directors. She has co-chaired the Gracie Awards since 2016. Heather, a graduate of Hofstra University, is Vice President for Services on the Executive Board of Hofstra University’s Alumni Organization, sits on the Board of Directors of the George M. Estabrook Alumni Association, and is a member of The Lawrence Herbert School of Communication Dean’s Advisory Board. Heather previously served as President of the Lawrence Herbert School of Communication Alumni Association. She has mentored New York City school children as part of NYC’s Principal for a Day program and has been a Safe Space committee member. Heather judged the Tony Awards for eight seasons.